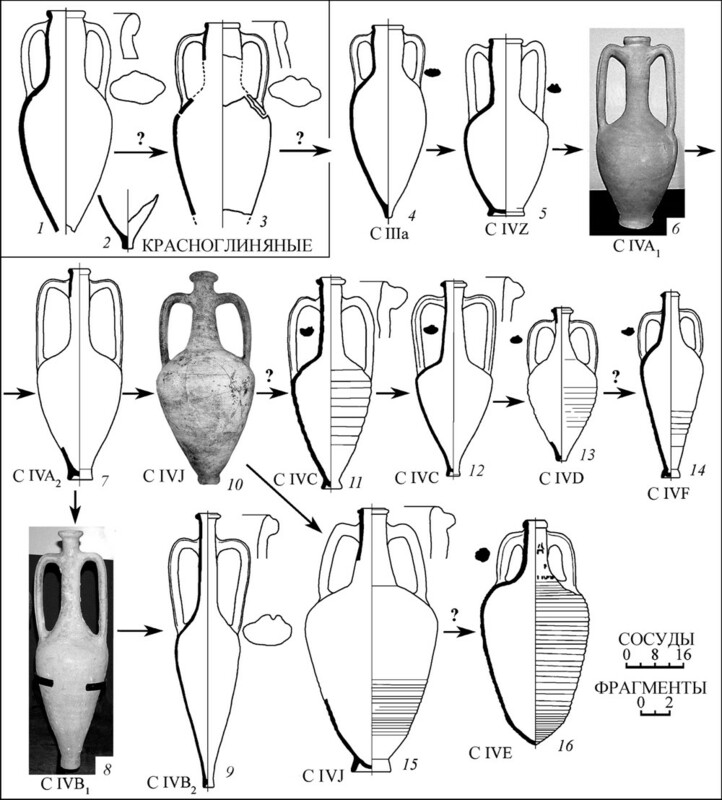 Key words: Northern Black Sea Region, amphorae, Roman time, vessels typology, amphorae’s chronology, Heraclean light-clay amphorae, trade connections. 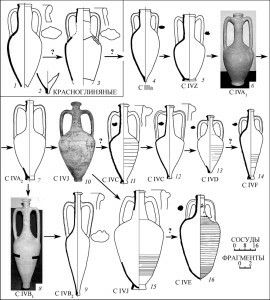 The article suggests new clarified evolutionary development scheme of the late Heraclean light-clay narrownecked amphorae of the type S IV. In the 1st–3rd cc. AD it was the most common type of wine cup in Northern Black Sea region which could be found in large amounts on a huge territory. 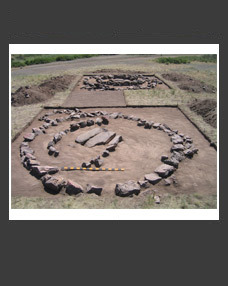 Some chronological variants and sub variants of this type are distinguished (S IVA – J, Z). The evolution of type forms is traced. These changes were happening fast but gradually without dramatic changes. It has been established that the development of the vessels form was not straightforward and unidirectional. Their evolution was developing in one direction but in two parallel lines of sharp and fl at bottom of packaging material. 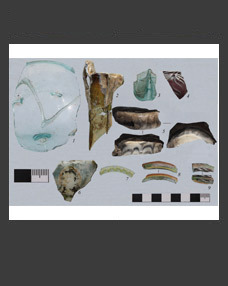 One dead-end type of such amphorae has been identified. 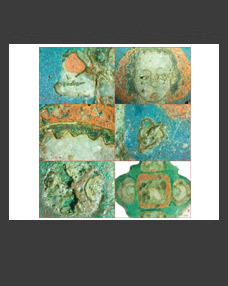 The analysis also allowed distinguishing new types of narrow-naked vessels, regulating a typological scheme of the studied vessels and specifying their dating which are often in the basis of the chronology of mass material of the Black Sea Region of the Roman time.